Shown with circulated Silver 1961 coins. Purchase the Proof Year you need, and we will install the Proof coins in your frame for you to give as a gift. Proof Coins are considered the ultimate collector condition. Sign up for email flyers. 3 options below for that gift item....keep reading. Great gift item for Birthday, New Baby, Christmas or any Special Occasion! Use Uncirculated or Circulated coins and insert a baby picture. Looks great with older years from the 1900's also, for that "mature person!" We offer a varied selection of U. S. coins for your interest. Coins are graded according to accepted industry standards and are as represented. See About Us to learn more. Maryland's Largest Coin & Bullion Dealer! How to order from us. Click to view "Ordering Options"
We accept VISA/MC, personal checks, cashier's checks, money orders, cash and PayPal. All prices subject to change. Special order items ( dated, engraved, sized, custom) are not returnable. Bullion items are only returnable at market value. No credit cards on bullion items. Most items in stock and ready to ship, except for Special Order items. Large, bulky, or heavy items may require extra postage. See order options link to view our minimal shipping charges. E-mail any questions. If any page does not look right or load fully, your viewer may require you to click on "Reload" or to update your browser. E-mail for price if your year does not appear on either list. If you purchase a 1986 to current year, you may buy the Silver Eagle Dollar for that year and add it to the other coins to form a six coin set. Not all years have a Silver Eagle Dollar, only 1986 to current year. 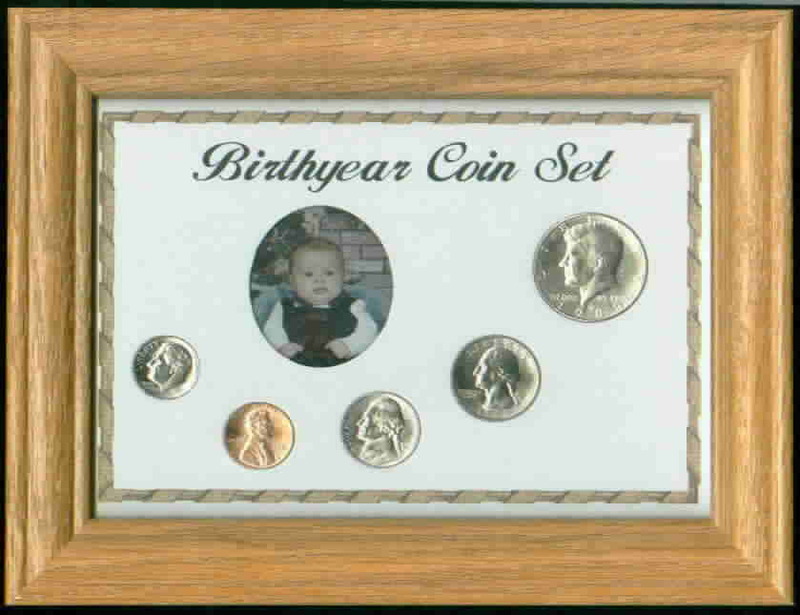 Or ... purchase frame with Mint State Uncirculated coins, below. Buy frame AND coins already assembled! Select year below, then hit button to add to cart.